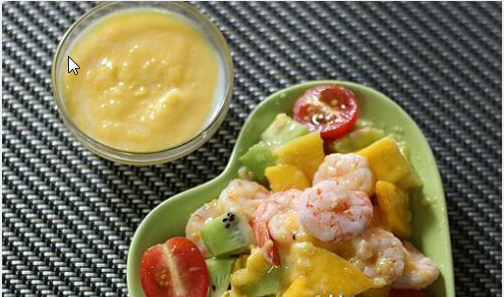 Shrimp and fruit salad is a great combination dish. 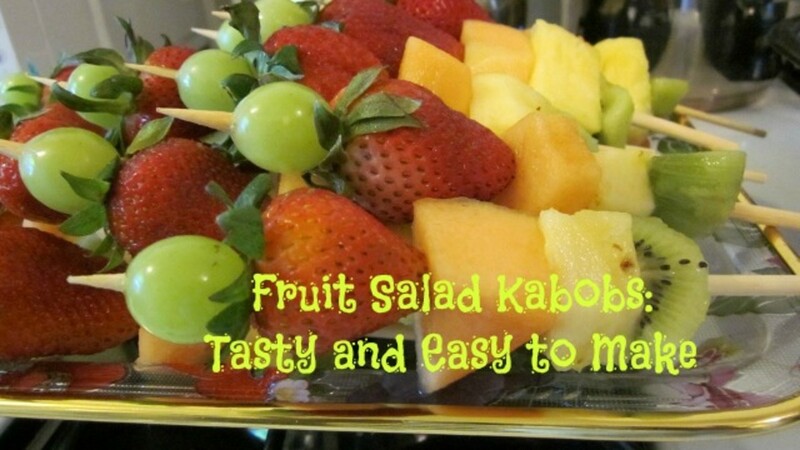 This colorful salad has a harmonious taste of sweetand sour from fruits and honey lemon juice. 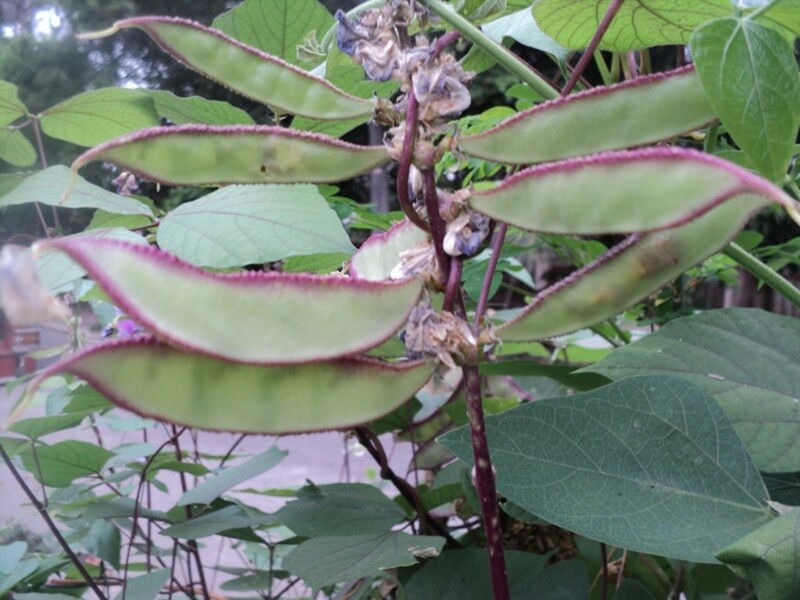 It is not only a yummy beautiful dish but also adds lot of vitamins to your body. If you make it once, you will make it again. Mango cut in cubes, divide to 2 bowls. 1/3 mango in bowl #1, 2/3 mango in bowl #2. Step 2: Peel the shrimp skin, marinate with a little bit of salt. Step 3: Put mango in bowl #1, 2 tablespoons of condensed milk and ½ tablespoon lemon juice in a blender. Turn on the blender and make it like make smoothie. Pour it out to bowl #1 and put in refrigerator. Step 4: Boil the water in a small pot then put shrimp in. Cook for 1 or 2 minutes or until the shrimp look cooked. Take the shrimp out, let it cool. Step 5: In mango bowl #2, add kiwi, tomatoes, and shrimp. Sprinkle 1 teaspoon of honey then mix well. Step 6: Eating time! Before eating, get the mango sauce in bowl #1 from refrigeator out and pour the mango sauce into the mixed salad in bowl #2. Enjoy! You can replace mango with other fruits such as peaches, strawberries or select other colorful fruit that have slightly sour taste, it will make your salad dish more attractive and yummy.